Every planet plays an important role in everyone’s life. When a planet is weak then person faces problems relating to it. 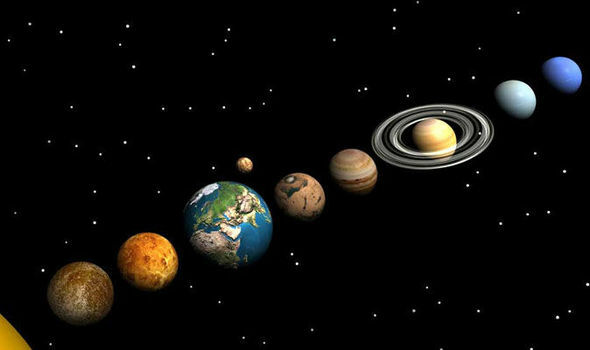 We can get rid of these problems by strengthening the planets. We have to change our lifestyle, food habits and nature. We can strengthen the planets by changing such habits. Sun: One should sit under the sunlight in the morning. Try to eat food before sunset. Drink water in copper glass. Use wooden furniture. Moon: Avoid having cold food at night. Do not eat stale food. Eat juicy fruits and salad. Do not waste water. Try to eat something from your mother’s hand. Mars: Sleep on floor. Do not eat salt once in a week. Eat jaggery and oatmeal. Mercury: You should eat green vegetables. You can use fewer amounts of beauty products. Make a habit of listening music. Take care of bath and cleanliness. Jupiter: Include turmeric in your food. Eat pious food. Keep your hair small. Wear necklace in throat and do tilak on forehead. Venus: Apply fragrance after taking bath. Wear clean and beautiful clothes. Include yogurt in your afternoon meal. Do not keep spread beard and hair. Shani: Use mustard oil in food and massage. Use maximum light. You can keep long hair and beard. Use still utensils. Rahu-Ketu: You should take bath daily. Chew two basil leaves in the morning with empty stomach. Avoid having fast food. Go to pilgrimage or temple once in a week. Keep your shoes clean. Remedy: Capricorn, Aquarius and Libra sign doesn’t get impact of Sade Sati and Dhayya. Sometime, they get more benefit during this time.